Do you like Pyramid Solitaire Ancient Egypt? Share it with your friends. 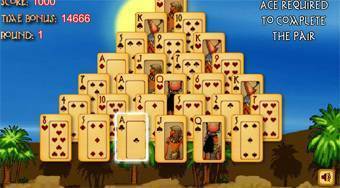 Pyramid Solitaire Ancient Egypt - play the popular solitaire in the environment of an ancient Egypt.